Our Pickleball Costa Rica tour was a lot of fun. 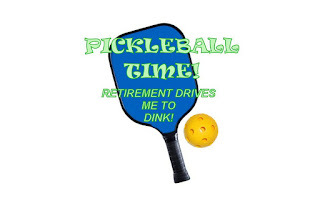 If you love the game of pickleball, you'll love the pickleball players. We haven't met a pickleball player or group that hasn't been really fun and nice to be around and play. That said, combine the love of travel with the game and you have some unique opportunities to do something a little different. I was amazed to learn that there are a lot more tours around the world that are combining pickleball with touring. Italy, Spain, Hawaii are only a couple of the places you can choose from on the Pickleball Trips site. There are a few other pickleball sites that offer trips as well especially when there are tournaments being played. Believe it or not pickleball is becoming quite a sport and is boasting professionals now who make money playing tournaments. We have a long way to go before we could consider being professional. I think the pressure would take all the fun out of a game that is great exercise and a terrific way of meeting some very nice people. If you haven't given it a go, check out your local Y or go to USAPA Pickleball and find a group playing near you.